Wide: 1250mm / 4 feet. Ink: imported ink, domestic ink. Color: the same pattern a variety of colors and can be customized according to your special requirements. Characteristics: environmentally friendly, fire-resistant, scratch resistant, waterproof moisture, dirt, anti-UV 6. 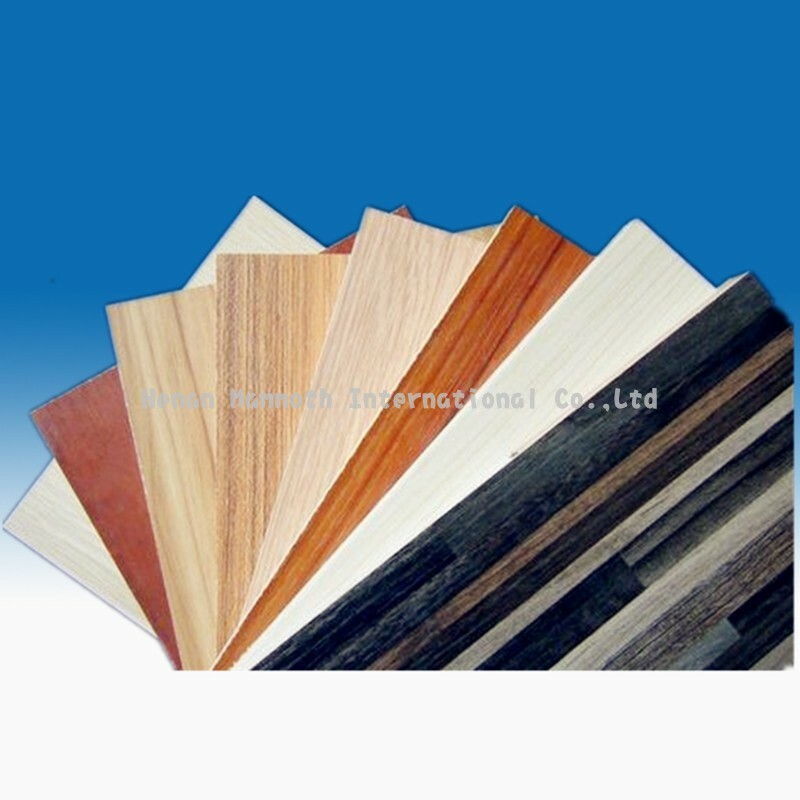 Widely used in furniture, cabinets, doors, laminate flooring; particle board, fire board, medium density fiberboard, high density fiberboard and HPL manufacturing surface material. The inner layer wrapped nylon film the topical multilayer kraft paper rolls. Melamine paper per roll 250-500kg, 1000kg a wooden pallet. A 20-foot container hold 13-14 tons. Melamine dipping paper, 200 a nylon bag, 10 bags of wood care. A 20-foot container installed a total of eight wooden prop, 16000. As a veneer material for the plate.